It might be a surprise to many but the truth is that the adult bladder is capable of holding 2 cups of urine before you have the urge to use the bathroom. 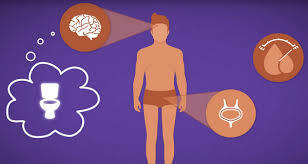 There are tiny receptors in your bladder wall that signal your brain when you need to pee. As all healthy individuals have full control over bladder function, it is possible to ignore the signal for a while and hold the pee. But what happens if you do that? Will there be any serious consequences? Let's find out more about it. You may have experienced a situation when you wanted to take a leak but the bathroom was nowhere to be found. There is no choice but to hold your pee for some time. While you may not experience serious problems if you have to hold your pee occasionally, you will be hurting your health by not answering nature's call in a timely manner. Here is what can go wrong. Even if you are healthy and believe to have full control over your bladder, peeing your pants is still a possibility. You just cannot hold your pee forever by crossing your legs tight. With time, your bladder keeps accumulating urine until it becomes too late to make it to the bathroom. Your bladder works more like a water balloon – it can certainly hold a good amount of water but it will keep getting bigger and heavier with time. That load would put so much strain on your bladder, which might start to leak. Making your bladder hold more than it should and for an extended time too can result in bladder stretching. Your bladder can easily hold up to 15 ounces of liquid, and if you drink 64 ounces of water per day, you will have to pee more than four times a day. Ideally, you should be peeing 8-10 times a day. If you continue to hold more in the bladder, this will make your bladder stretch, which is not a good thing because it can lead to bladder weakness. There are tiny muscles in your bladder that help you hold your pee for long. If you keep overusing those muscles, you will end up making them weak. Once your bladder muscles start to weaken, you will no longer be able to hold your pee and may have to deal with other problems as well. There are bacteria in your urine that leave your body when you pee. What happens if you hold your pee? You can develop a bacterial infection because you will be keeping those harmful bacteria in your system for longer than you should. Letting bacteria stay in your bladder for long increases your risk for developing a urinary tract infection. A urinary tract infection can be very painful and take some time to clear. It is more common in women. If you hold your pee, it increases your chance of developing an infection, which can spread to the kidneys. Getting those infections frequently can even result in a kidney infection and damage the organ. A kidney infection can be extremely painful, and if you do not seek immediate medical attention, you may have to deal with life-threatening complications. The problem is more common in women and results in the inflammation of the bladder walls. The most common symptoms of cystitis are burning pain while urinating and pain in the pelvis. You may have the urge to use the bathroom but you may not pass a lot of it. When you hold your pee for long enough, you sometimes do not feel any relief even after emptying the bladder. The pain persists mainly because those pain signals have triggered in your lower abdomen, which will take time to go away completely. It also happens because your muscles are almost in spasm to help you hold your pee and they may not be able to relax even after you have urinated. What happens if you hold your pee? You may certainly have to deal with several complications, but here are some other side effects usually associated with holding your pee. You may experience strong pain when you urinate. You may have a fever caused by the bacteria in your urine. You may have shivers along with cramps and stomach pains. You may become anxious and have difficulty concentrating on things. When you feel like you need to use the bathroom, you should. Do not try to ignore the urge. However, you may sometimes need to deal with situations where you do not have access to a bathroom. If that is the case, you should keep the following points in mind. Keep yourself distracted. You can start playing a game or focus your attention on crossword puzzle to control things better. You may consider listening to music because this can help you forget about urinating for a while. Do not change your position. It means you should stay in a seated position if you are already sitting. Consider reading a book or simply start checking your social media accounts to distract your mind. Keep yourself warm because you will have a hard time controlling your bladder if you are in a cold environment. What Happens If Your Liver's Affected by Alcohol?